A healthcare consulting and education firm helping healthcare providers across the country with practice management, coding, and compliance solutions in a clear precise and easy to understand format. 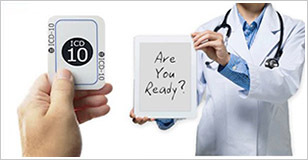 Our consultants can assist with your new practice start up, payor and RAC audits, streamline your A/R and billing process, improve patient flow, provided practice management solutions and help to prepare you for the ICD-10 transition and training. We are dedicated to being in the community for a number of healthcare related events as well as many civic and/or charitable organizations. The S.O.S. in our name not only stands for Seminars and Office Solutions but also Servicing Our Society. Regina Mixon Bates is CEO, of the Atlanta-based company, The Physicians Practice S.O.S. Group and has over 20 years of Medical Management and Education experience. Mrs. Bates is affectionately called MS SOS by many of our clients. Fix My Practice Blog is designed to educate and inform practices on regulations, best practices, and office solutions that fix practices and that lay the foundations for successfully navigating the business of medicine. Looking for a great seminar, webinar or certification course? Registration and payment just got easier! Confirmation and seminar details will be sent to you after the completion of your registration. Get the information you need to lay the foundations for successfully navigating the business of medicine. Fix My Practice TV will educate and inform practices on regulations, best practices, and office solutions. The Physicians Practice S.O.S. Group® is a healthcare consulting and education firm providing services such as: Compliance Planning and Implementation, Practice Operation Assessments and Management Services, A/R Assessment Services, New Practice Set-up that includes facility design, and OIG - IRO auditing services. In addition to our consulting services we offer training to physicians and their staff on the many diverse healthcare related topics, such as ICD-10, Coding and Insurance Billing, Front Office Management and Collections, Financial and Personnel Management, OIG, HIPAA, Medicare and Medical Record Compliance, in a clear, precise and easy to understand format. For over 20 years, our consultants have helped healthcare providers across the country streamline their business processes, improve patient flow in practice operations and keep current with the ever-changing state and federal compliance guidelines. Whether you're preparing for a Federal, State, or Insurance Company audit, searching for opportunities to expand your practice or need educational services our consultants can provide the tools, training and consulting services you need. SecurityMetrics-certified website, having passed the PCI scan requirements. Minority Business Enterprise - certified website. Lessons Learned in Setting a New Path. 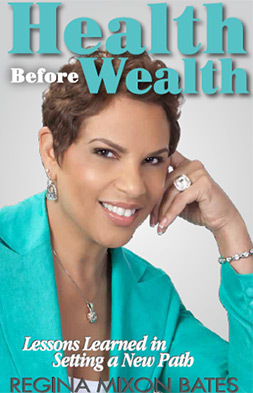 Strategies on how to create a Health Before Wealth Lifestyle. Practicing quality medicine while maintaining and managing the bottom line is a balancing act that provider's face daily. Our consultants have helped healthcare providers across the country with a new practice start up, IRO needs, streamline their A/R and billing process, improve patient flow and provided practice management and compliance solutions in an easy to understand format.